Yup it’s tulip seison! A little late because of the long cold period but now its finally here! For those of you who have never seen the fields in real life; get inspired by this awesome drone footage. 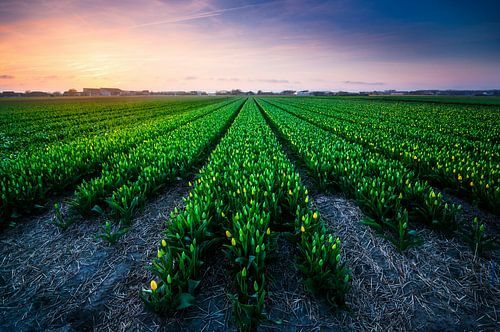 A couple of weeks ago I went to the tulip fields and I found this amazing spot adjacent to the Keukenhof. Of course you don’t ‘find’ these location just driving around and hoping to find something. I did my fair amount of scouting, searching, planning and more homework before heading off to shoot. 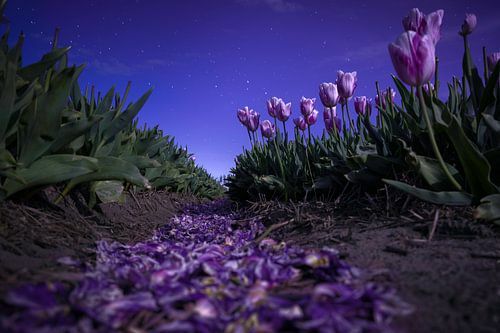 Last time, not all of the tulips and fields were in full bloom so I decided to have another go at it. On my way over to location ‘B’ I saw I wasn’t the only ‘nut’ with a camera. I saw young kids with their first dslr, some pro looking people and even an asian bridal photoshoot happening in the fields. When I came to the plan B location I had no luck either. The field was bare and nothing was growing there… Time for plan ‘C’! 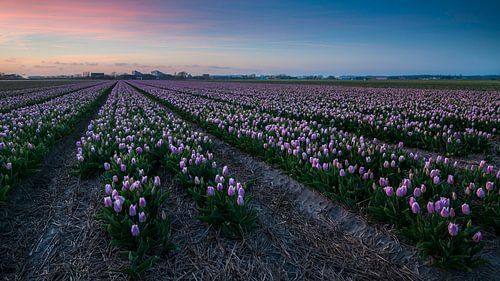 I’ve been trying to shoot the bulb fields for a couple of years in a row now and I’m glad that I know a little more locations than one… This was the only day that I could shoot this week and next week too and the conditions were perfect. I would not waste such a nice evening by not capturing a ‘perfect memory’. Stick to the plan until its time to let go of it. Staying on the topic of having a backup plan. If the conditions were not ‘perfect’ I would change the plan for subjects. If the sun was not out I would start shooting macro and detail shots, if it was raining or foggy I would try to capture the weather conditions. That was my key to move to the final destination, knowing that, if it failed to deliver I could always come back. 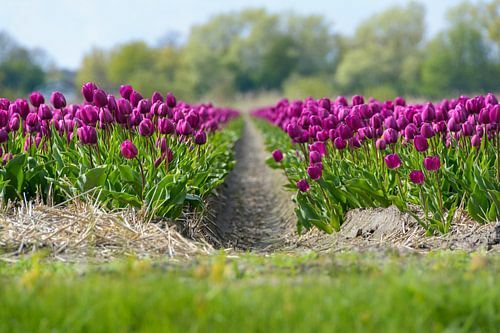 I got into the car only to park it again a couple of hundred meters down the road right next to the tulip field. There still was sunlight, and direct light, exactly like I had in mind! Only the tulips were the wrong color, but hey, you can’t have it all can you? The sun was about to set right behind one of the buildings on the horizon so sunset was a little earlier on this spot. But because of this, the light came from a slightly higher angle than it would if the sun would set behind the horizon. And that was a happy little accident for my shot. I wanted to have the sun in frame, and the light flooding the field only touching the tips of the flowers and that was exactly what was happening! 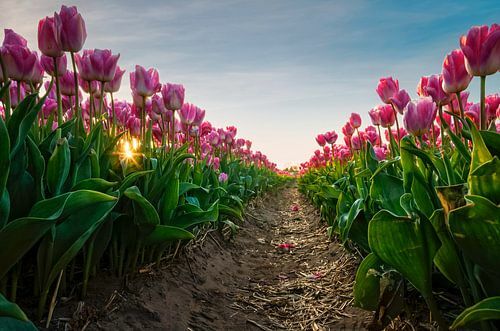 After the sun had set I drove back half way down the road and stopped there for a light-pink tulip field. After sunset it is easier to shoot the lighter flowers because you get a faster shutter speed due to the brighter subject. 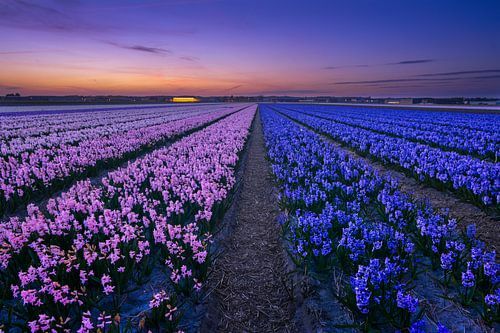 And a light flower field, in my opinion, will create a nice contrast with a dark/blue hour sky. And the lighter flowers will reflect the color of the sky so the image will feel more natural. Anyway sorry for me blabbering all you want is the shots right? Here they are.. Please do not forget to tell me which one(s) you like in the comments! Would love to hear from you! In Between – ISO800, 17 mm, f13, 1/80 sec, handheld. 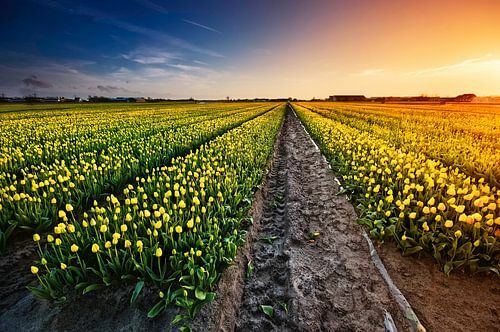 Yellow Buds – ISO200, 17 mm, f8 1/125sec 0.9 hard grad ND, tripod, remote release. 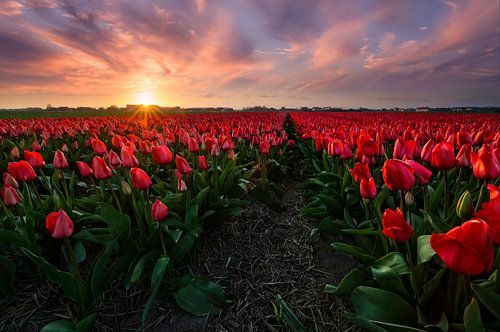 Perennial Red – ISO 400, 12 mm, f13, 1/25 sec, 0.9 hard grad ND tripod & remote release. 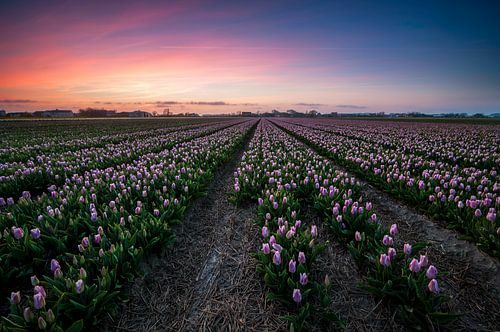 Tulip Tracks – ISO400, 13 mm, f8, 1/20th seconds, 0.9 hard grad ND, tripod & remote release. Teylingen Sunset – ISO 400, 13 mm, f8, 1/13th sec, tripod, remote release. The Tulip season is about to begin! Get your gear out! 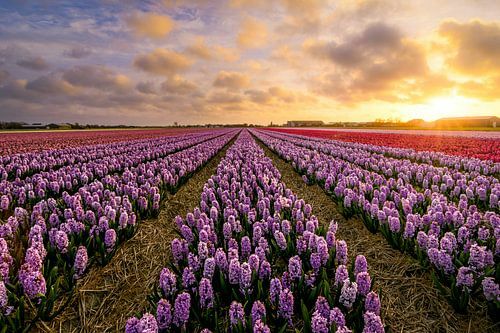 Tagged flower, keukenhof, spring, sunset, tulip.